There are two teams in the chase after Zack Greinke, the top remaining pitcher in free agency: The Los Angeles Dodgers, who he has been playing for them since 2013, and the San Francisco Giants, who know it’s an even year coming, which since 2010 has meant winning the World Series for them. 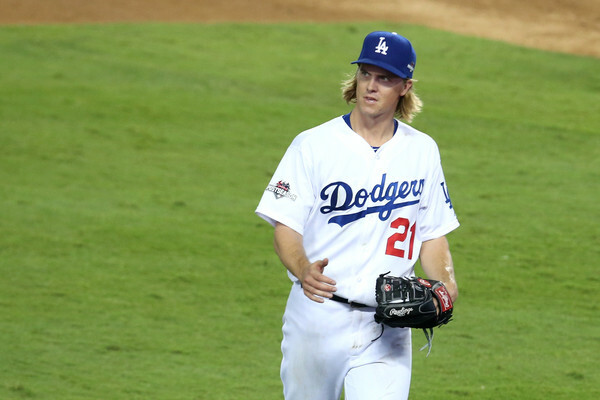 The David Price contract means good news for Greinke. Price is considered inferior to Greinke, and still got a $217 million, 7-year deal. So what will Greinke, who was making on average $25.5 million over the last two years with the Dodgers before opting out of his deal, recognizing the opportunity to strike gold? Maybe something along the lines of $190 million over six years? Basically, an average of $30-32 million until he’s 38 years old. The Dodgers are hoping to cut back on spending while the Giants have never been the kind of team to throw so much money at players, but maybe they’ll make an exception in Greinke’s case. His teammate in the rotation might be picking up the Cy Young awards, but Greinke was the best pitcher in the National League last season, winning 19 of 22 decisions (32 starts), finishing with the best ERA (1.66), ERA+ (225) and WHIP, the best of his career (0.844). He won the gold glove, finished second in the Cy Young voting and 7th on the MVP ballot while making his second consecutive All-Star game, third overall. Yes, it’s hard to find a better pitcher right now in baseball, even if he doesn’t do it with enormous strike out counts (8.1 per nine innings), didn’t shut out a team last season or put on too many complete games on his back (two in the last three years). Greinke gets the job done with less flash and in less innings, which usually means counting on the bullpen while he’s out there, which is something teams need to do anyway: Bullpens are what usually get you through the playoffs, while starting pitching only gets you so far. But for over $30 million a season, it’s hard to tell a team not to expect something from a player.